Heat Treated Onion Sets - It's frustrating when your beautifully forming onions decide it's time to develop seed and send up a flower stalk. Heat treating is a process that we carry out on your behalf to prevent this happening. 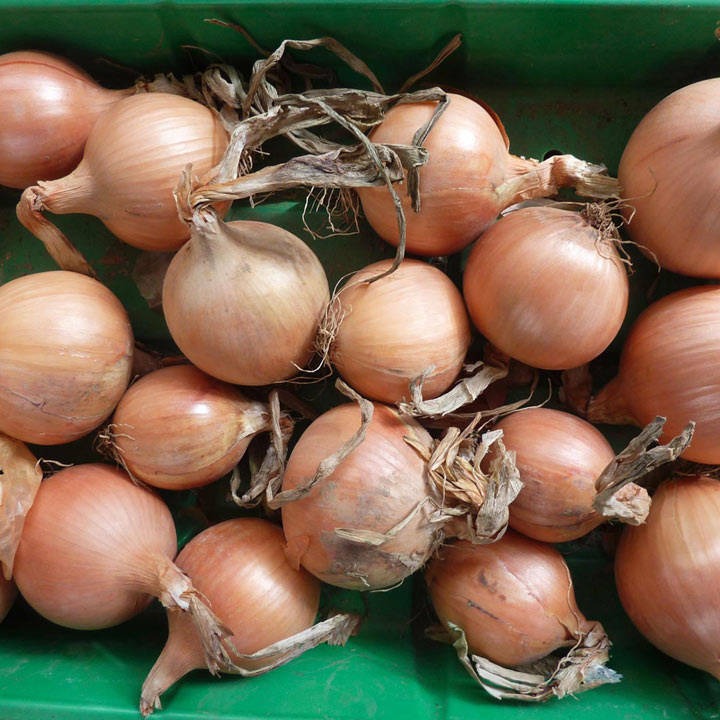 So whilst they are a little more expensive, you can be more confident of harvesting onions you can be proud of! Ideal for beds and borders, raised beds. Prefers full sun.